Far away from TV cameras and under the radar of the nightly news, oil has been continuously leaking from a damaged production platform located just 12 miles off the coast of Louisiana in the Gulf of Mexico — causing oily sheens on the surface that stretch for miles and are visible from space. These underwater oil wells have been leaking since 2004 and continue to leak as you read this. Unless it is plugged, the government estimates the leak might continue for one hundred years until the oil in the underground reservoir is finally depleted. In September 2004, Hurricane Ivan slammed into the Gulf and unleashed an underwater mudslide which toppled the Mississippi Canyon 20 (MC20) oil platform. The offshore platform was located in 450 feet of water near the outlet of the Mississippi River. 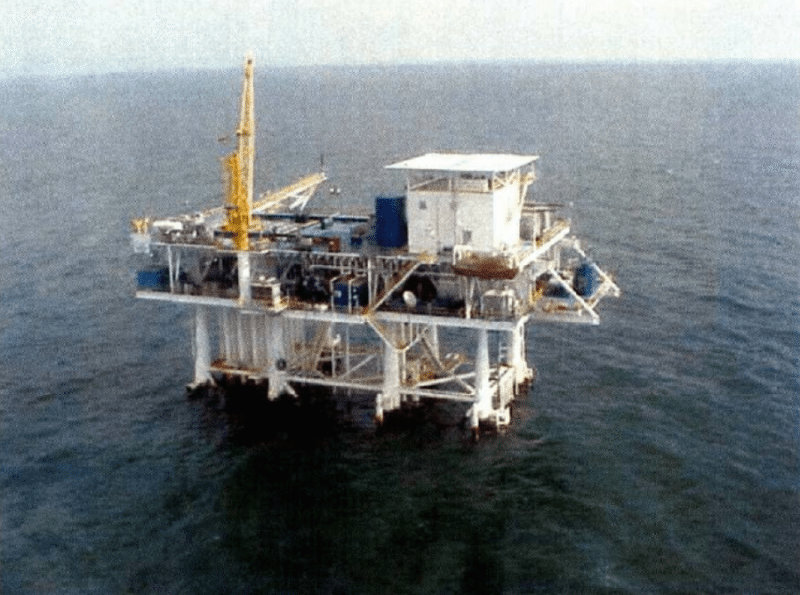 After the mudslide, the platform ended up on the seafloor, 900 feet from its original location, and plumes of oil began seeping from the broken well casings of more than 20 wells that had been connected to the platform. Although the company began working to contain the leak, the mudslide made traditional well containment tactics difficult. Taylor Energy was more effective at keeping the oil spill under wraps and information about it was not made public until 2010, when BP’s Deepwater Horizon disaster brought added scrutiny to the region. 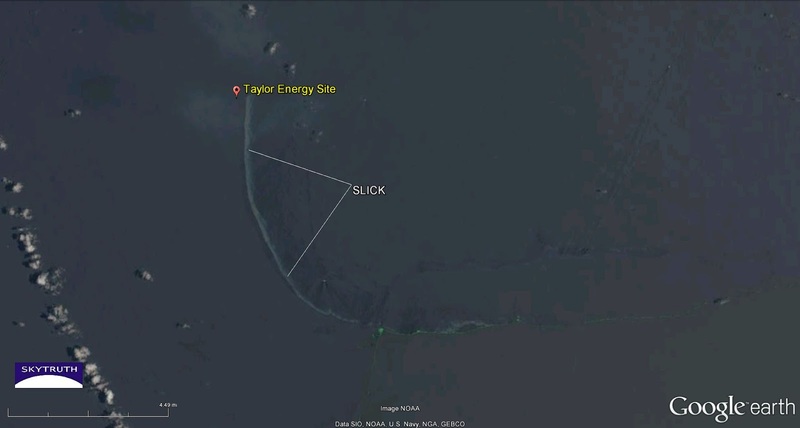 While reviewing satellite imagery of BP’s oil slick, the watchdog group SkyTruth noticed a smaller slick coming from the MC20 location. Measuring the size of the oil slick in satellite images, SkyTruth was able to estimate a leakage rate ranging from 37 to 900 gallons per day. Over the years, that rate adds up to between 300,000 and 1.4 million gallons of oil spilled into the Gulf. To put those numbers into perspective, the MC20 leak could be the equivalent of last year’s Refugio Beach spill in Santa Barbara, CA — happening every year for a decade. Even after it was finally revealed to the public in 2010, the leak has been shrouded in a frustrating level of secrecy. For years, Taylor Energy had reported estimates of the spilled oil to the National Response Center that were extremely small — and in many cases flatly contradicted by the images analyzed by SkyTruth. In 2015, following rigorous documentation by SkyTruth and an investigation by the Associated Press, the U.S. Coast Guard released a leak estimate that was 20 times larger than what had been claimed by Taylor Energy in court filings. The AP also reported that the company has been reluctant to share information about the leak and their attempts to plug it, citing trade secrets and proprietary information. The lack of transparency led to a lawsuit by Waterkeeper Alliance and other environmental groups. As part of that settlement, Taylor did host a public meeting on January 20, 2016 and provided some additional information to the public. Although the flow of oil shows no signs of abating, it’s clear that the company would like to wash its hands of the whole situation. Taylor Energy has mostly ceased to exist as a company and company president William Pecue is its last remaining employee. Pecue has called the leak an “act of God” for which Taylor cannot legally be held responsible. The company and their hired experts maintain that any further action to halt the leaks would be worse for the environment and therefore they propose “to not take any affirmative action” at the site. The MC20 leak is a prime example of how chronic oil pollution is a constant presence in areas where oil and gas are produced. 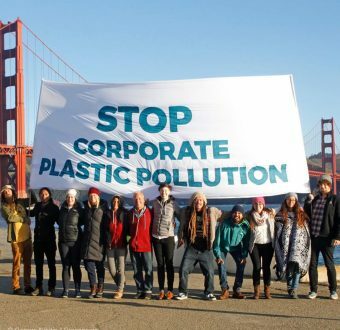 The media pays close attention when mega-spills like the Deepwater Horizon disaster occur, but the normal day-to-day operations of offshore oil companies inevitably lead to a constant stream of releases and small spills from pipelines, tankers, ships, decommissioned equipment and other sources. SkyTruth has mapped the nearly 10,000 spills reported to the National Response Center from July 2010 (after the Deepwater spill) to April 2015. The connection between spills and oil production is clear when comparing different regions of the Gulf. In the western gulf, spills are common, especially in the waters off Texas and Louisiana. By contrast, oil exploration is currently banned in the eastern gulf near Florida and, as a result, oil spills are much rarer. The production and use of oil is harmful to the environment at every stage of its lifecycle, from cradle to grave. Seismic blasting is used to discover new deposits of oil and gas below the seafloor, significantly disrupting and even injuring marine life, especially whales and dolphins. 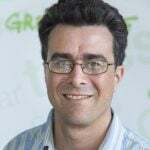 When those oil and gas deposits are extracted, transported, refined and burned as fuel they release the greenhouse gases that are causing our climate catastrophe. At each stage of the process, oil spills and toxic contamination are all-too-common impacts on human health and the environment. Taylor Energy has demonstrated that pollution — and lack of accountability — can continue for years even after the company has ceased operations. All the more reason to keep fossil fuels where they belong — underground. Send an urgent message to President Obama right now to stop all new offshore oil & gas leases.